We would like to share the following announcement. Prof. Elliot Ratzman, who has taught in Swarthmore’s Religious Studies Department and the Peace and Conflict Studies program, will interview Dr. Albie Sachs and the film’s Director after the screening on Saturday Nov. 21, 2015. We close out this year’s Philadelphia Jewish Film Festival – Fall Fest with the 2015 Peabody Award-Winner, SOFT VENGEANCE: ALBIE SACHS AND THE NEW SOUTH AFRICA. In this powerful documentary about the fall of apartheid and the rise of a free South Africa, Director Abby Ginzberg takes a different, but no less rewarding, route than most who have tackled the subject. A great many apartheid-related documentaries tend to focus on the larger-than-life Nelson Mandela, while simultaneously simplifying the conflict into a “blacks are good; whites are bad” scenario. 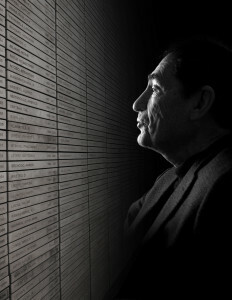 Ginzberg moves this film in a more compelling direction, introducing us to the incredible true story of Albie Sachs. Sachs, a Jew of Lithuanian descent, was born in South Africa and as a young man used his law degree to help those suffering under South Africa’s harsh racial laws. This made him a marked man to authorities, which directly led to his imprisonment, exile, and a brutal near-death experience. But this was only the beginning of Sachs’ life-affirming journey, which is told by Sachs himself, along with other notables, including Desmond Tutu and Ruth Bader Ginsburg. Special Guests: Film followed by Tikkun Olam Award Presentation and discussion with Albie Sachs and Director Abby Ginzberg. All guests are invited to attend PJFF’s Closing Night Party at Hamilton Hall, The University of the Arts.